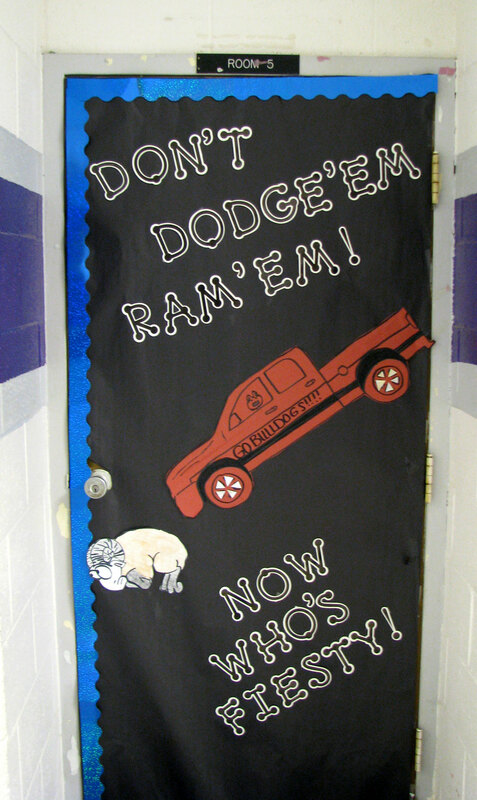 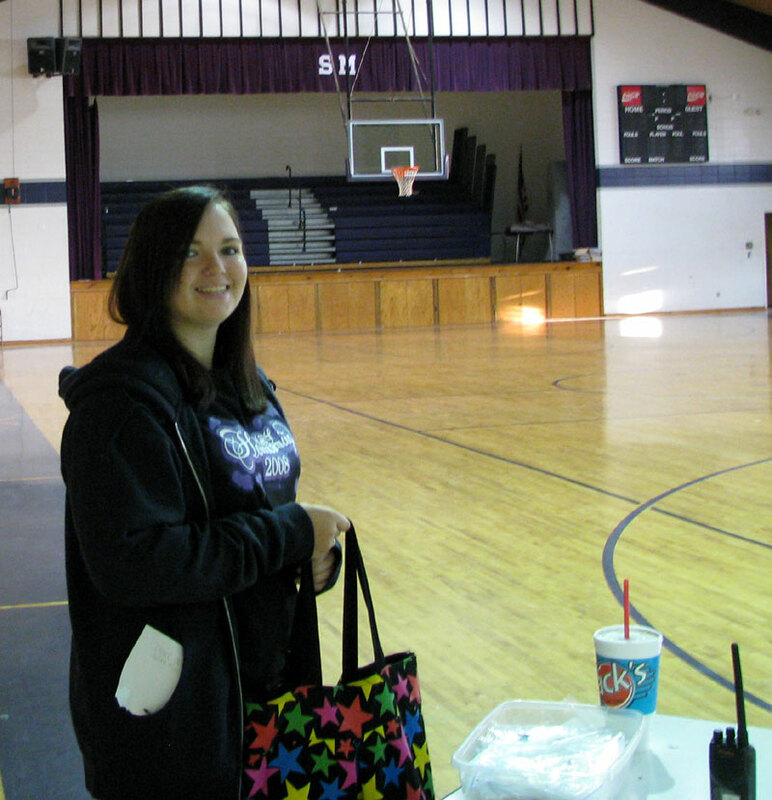 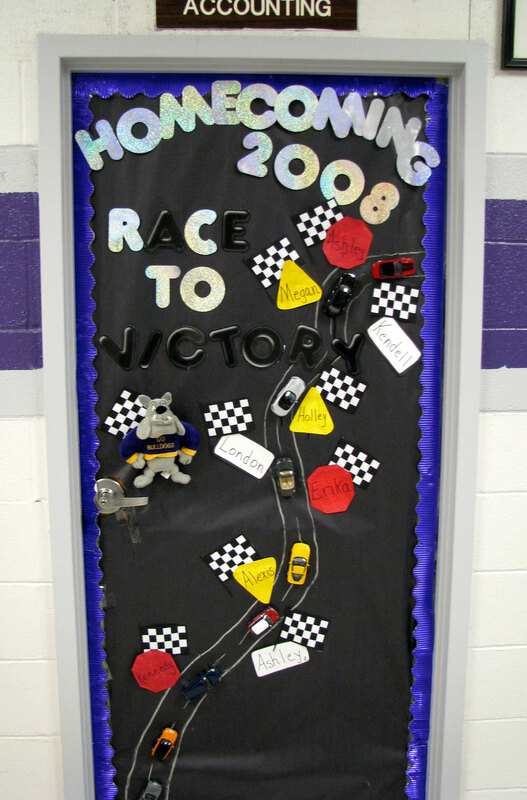 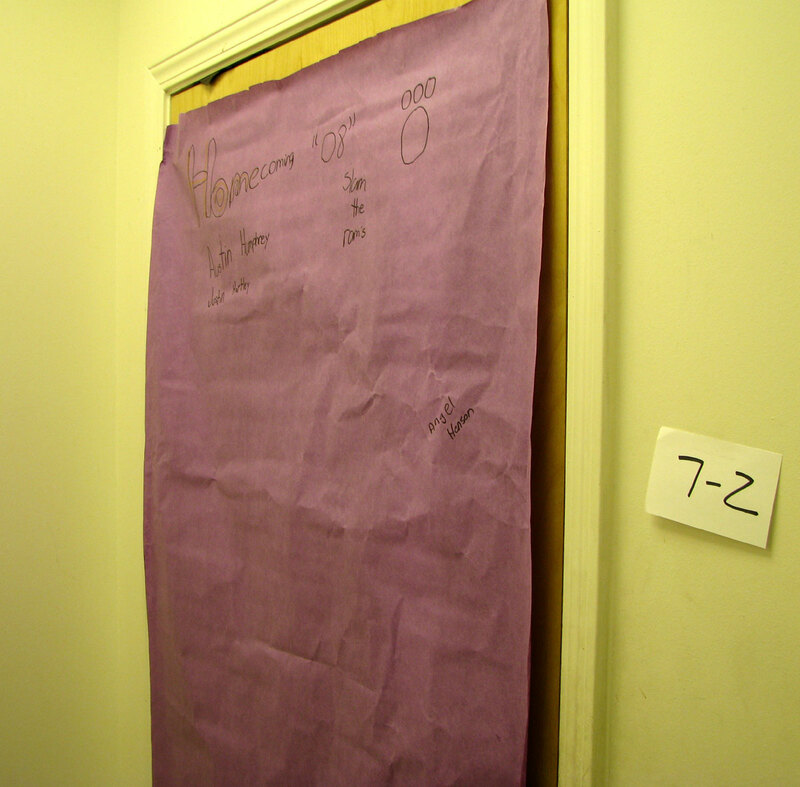 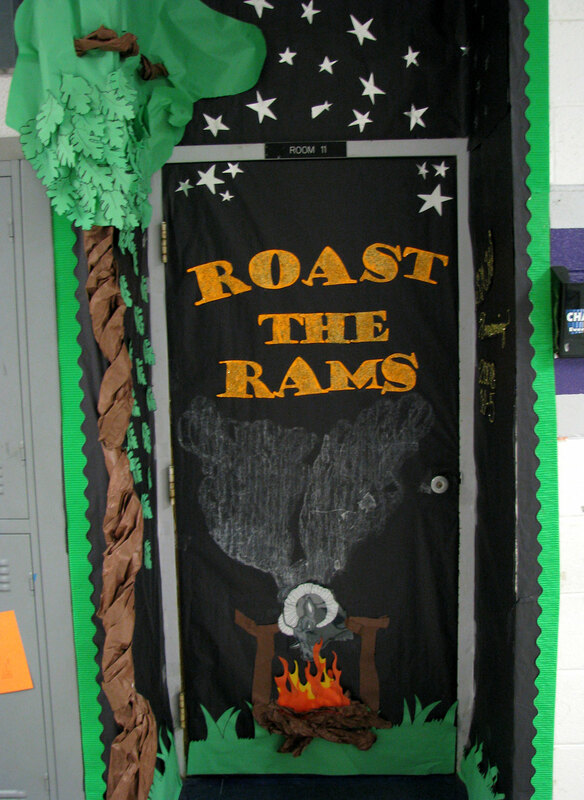 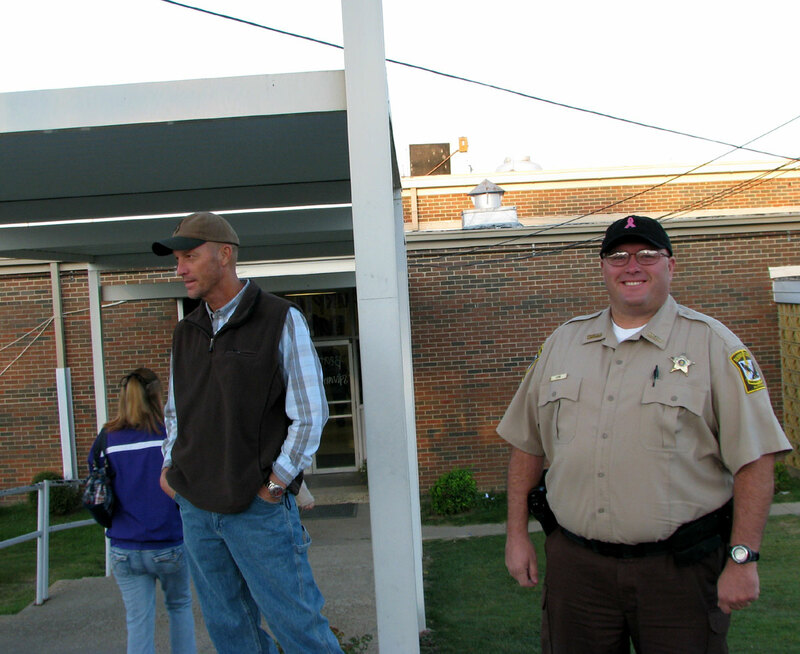 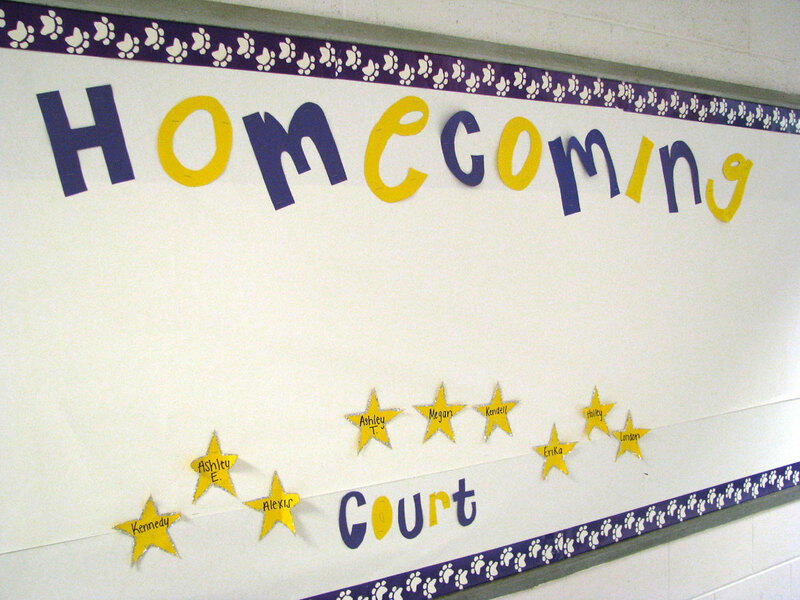 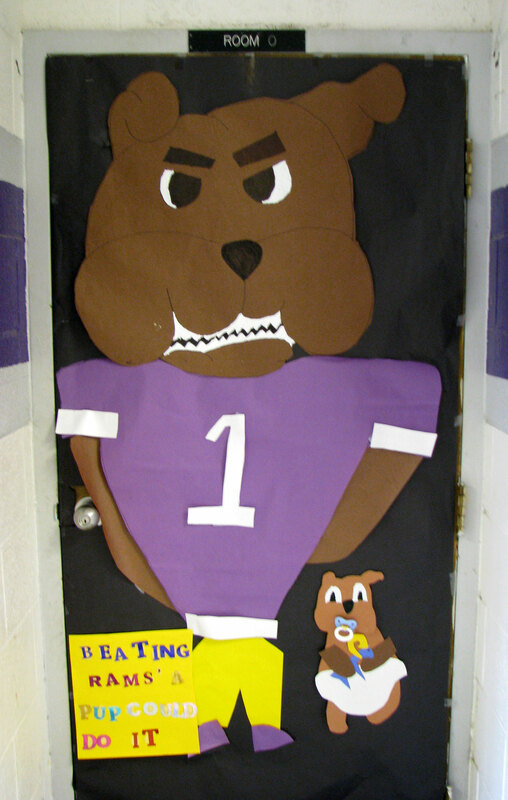 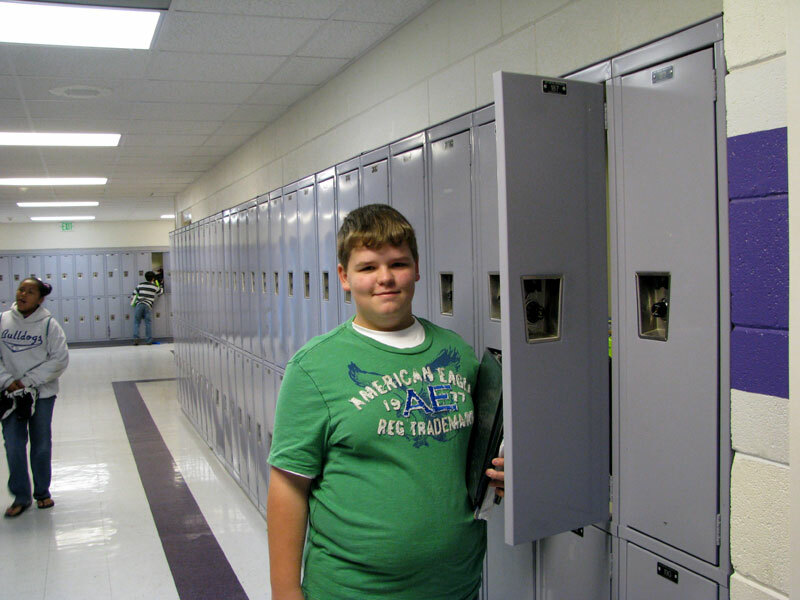 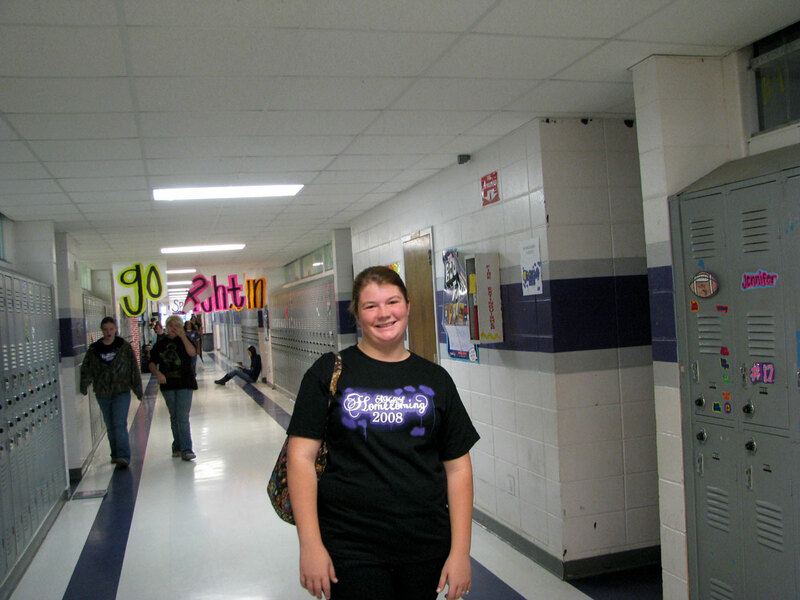 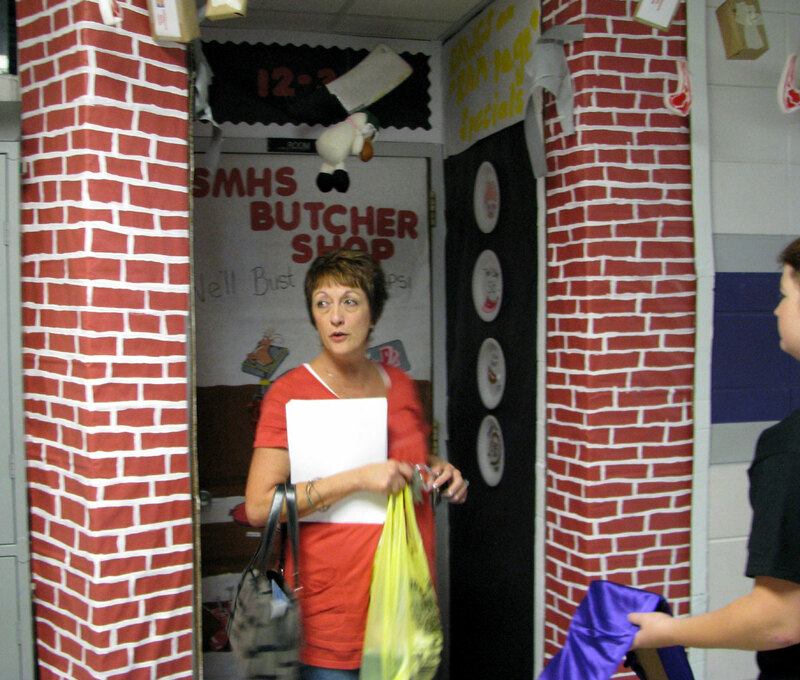 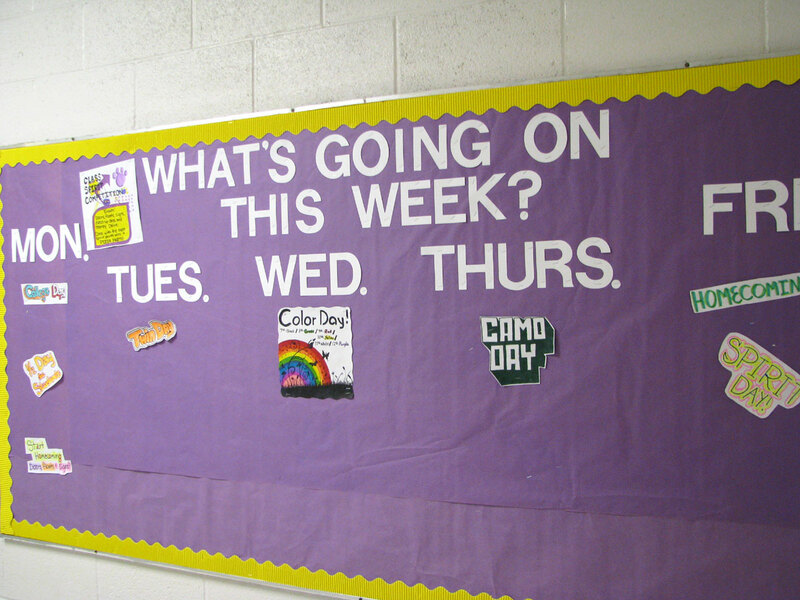 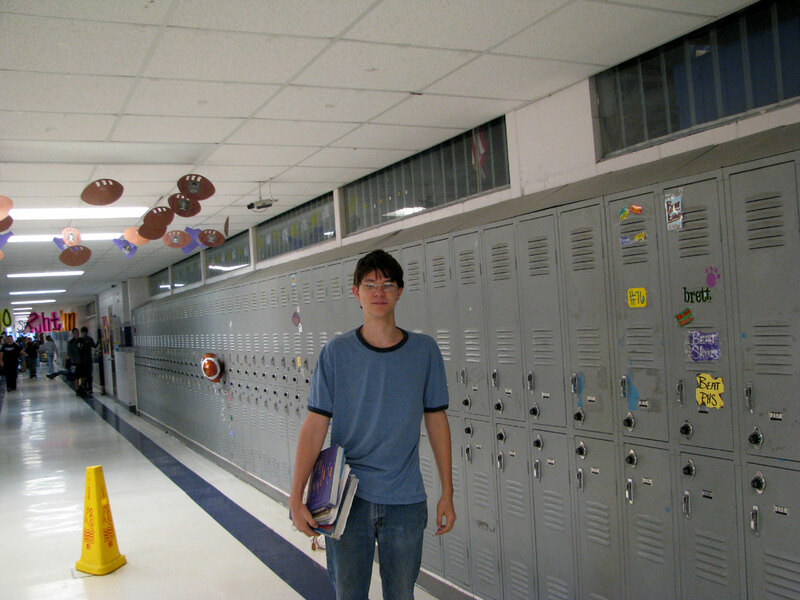 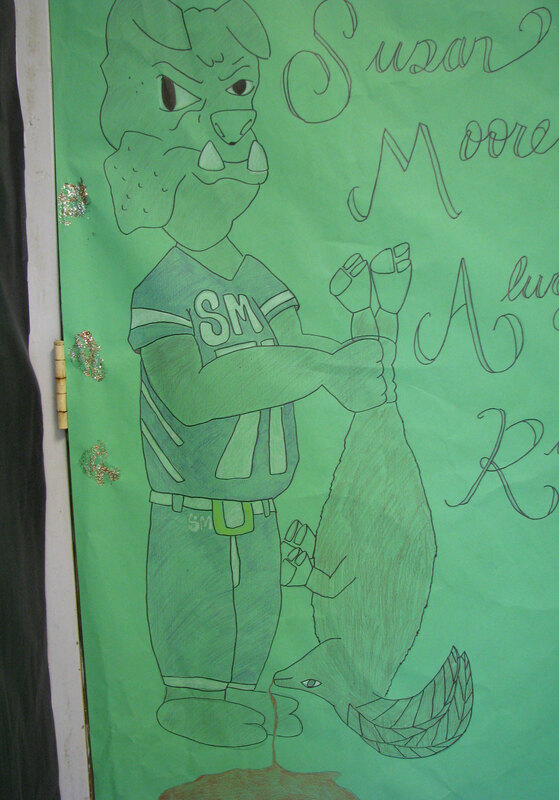 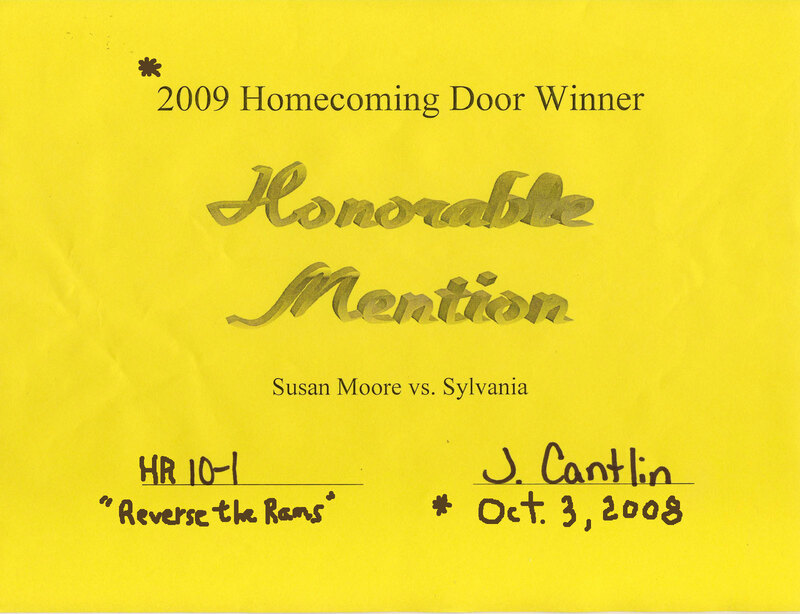 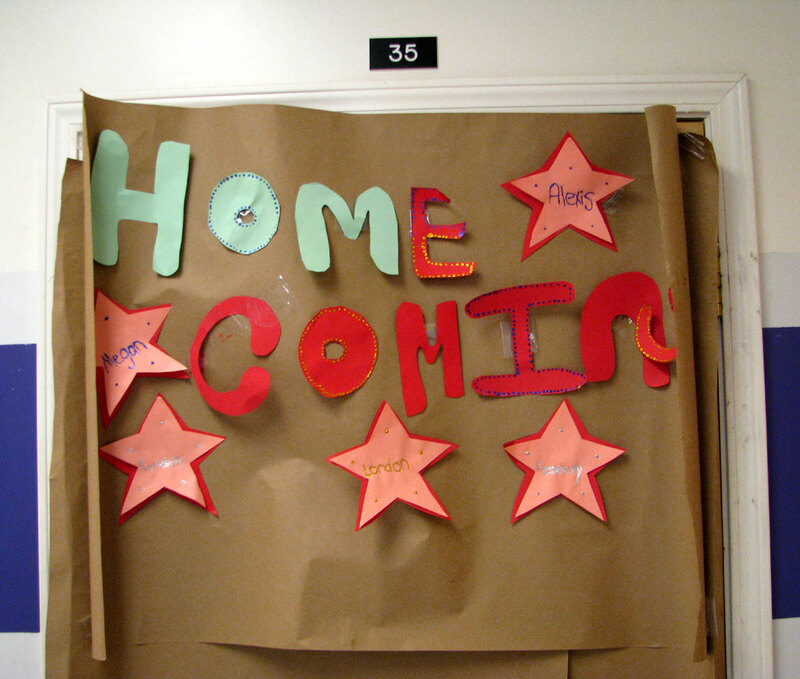 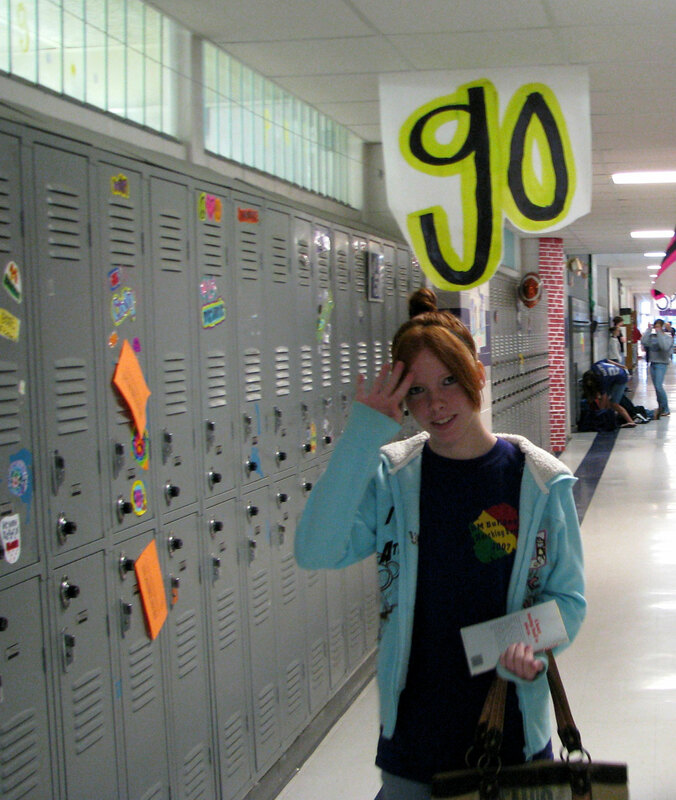 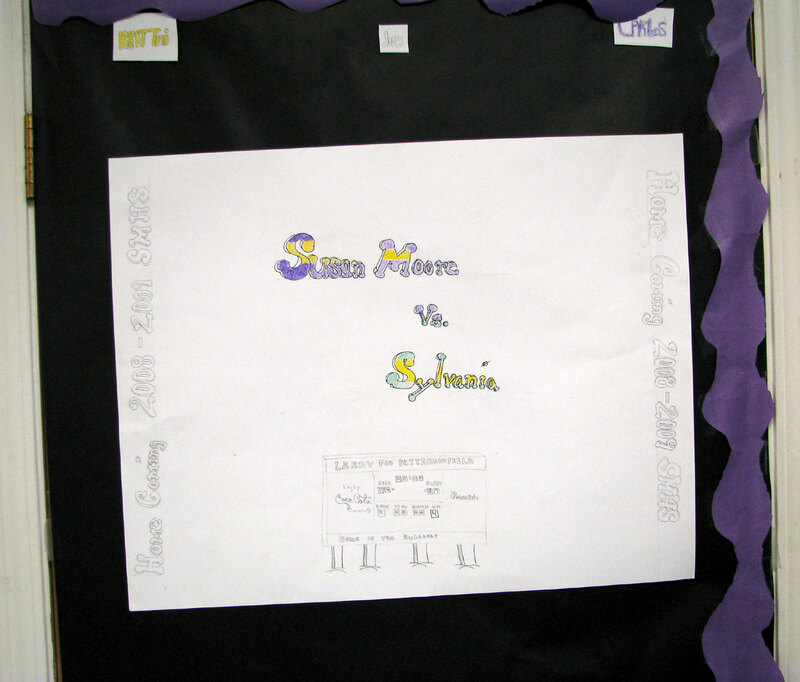 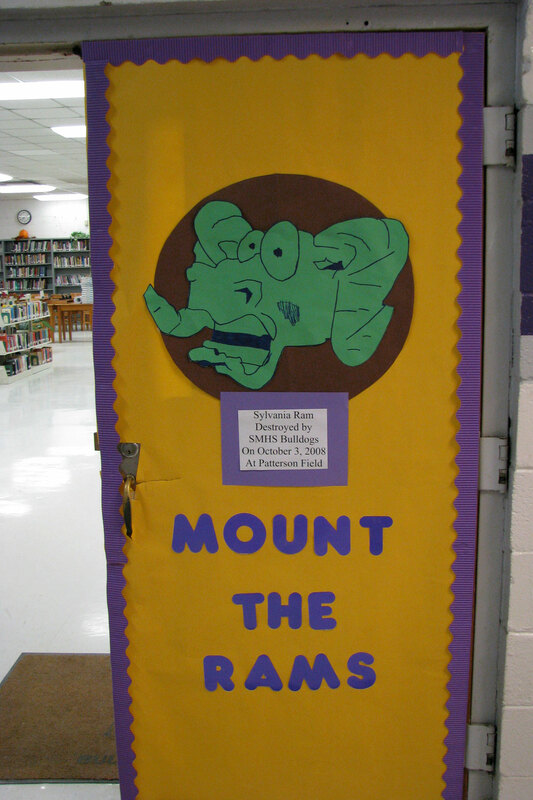 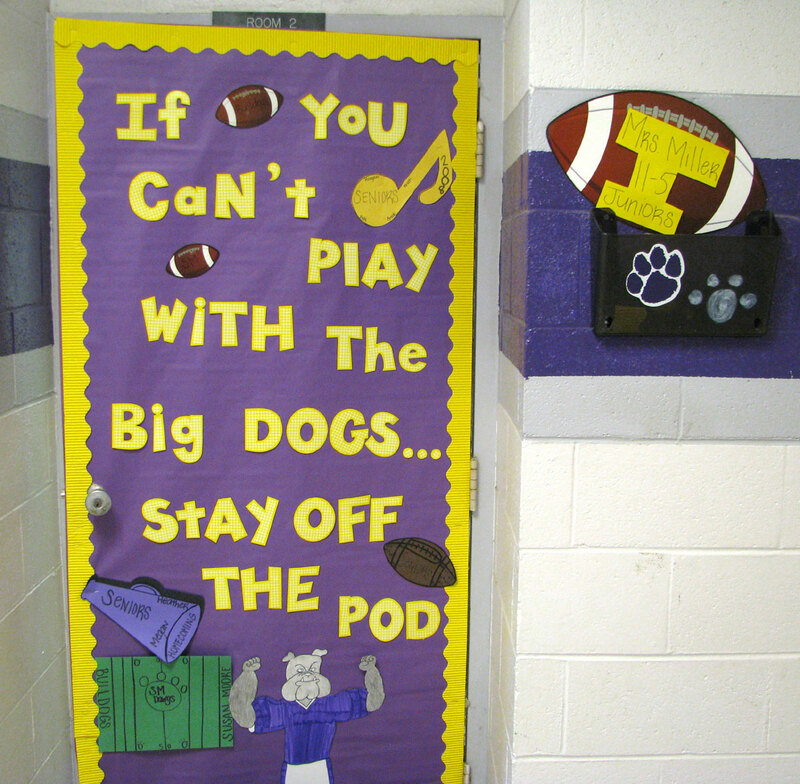 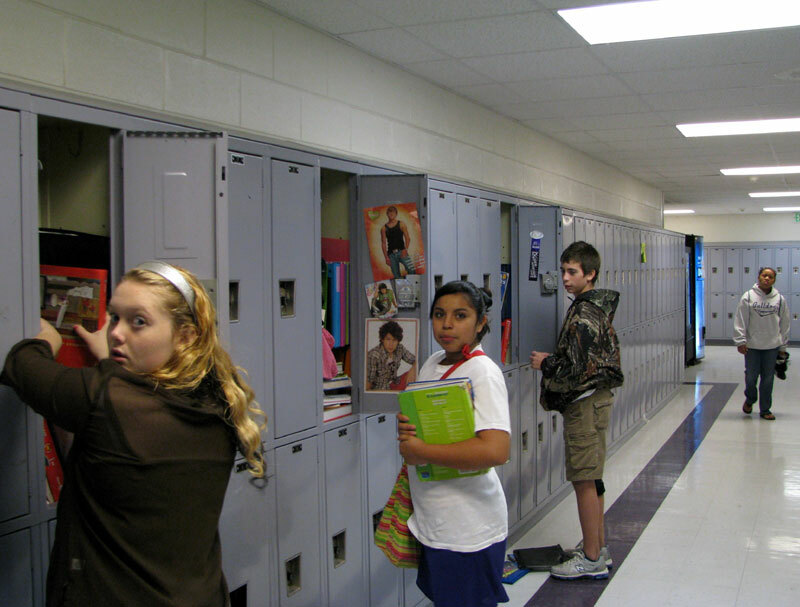 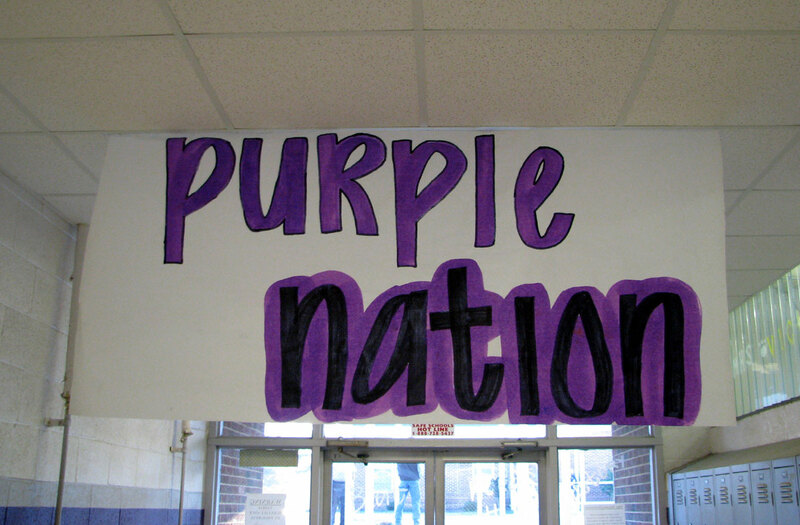 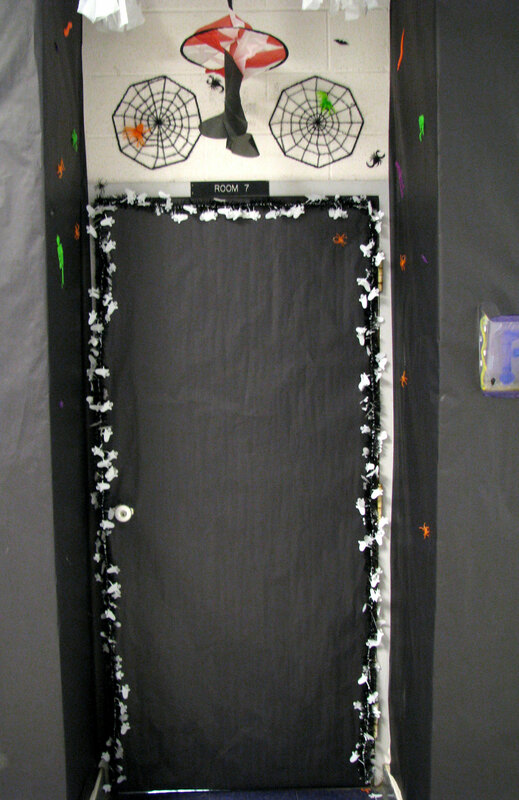 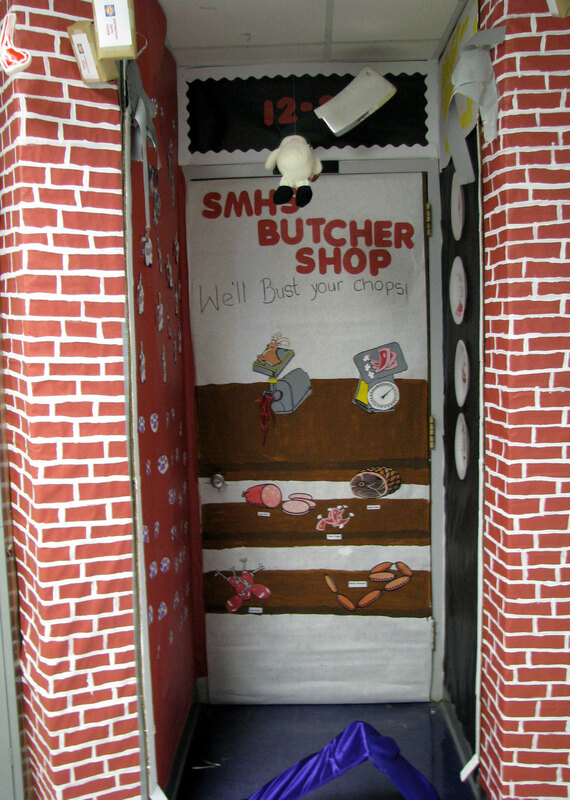 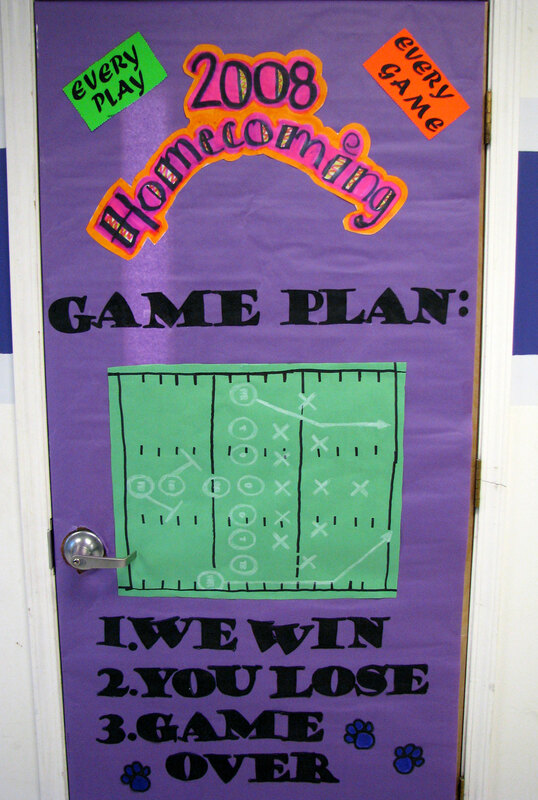 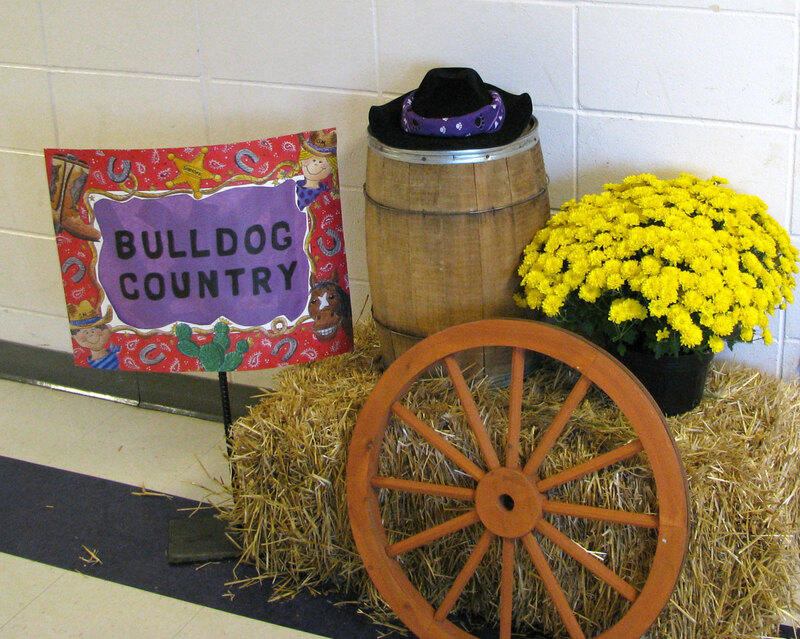 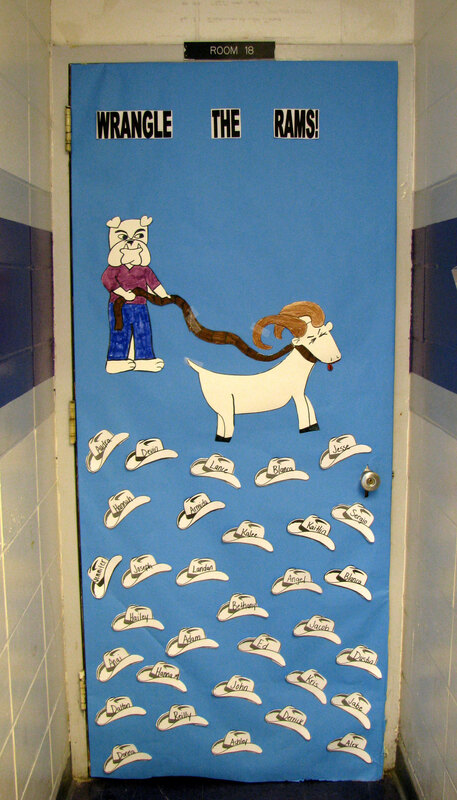 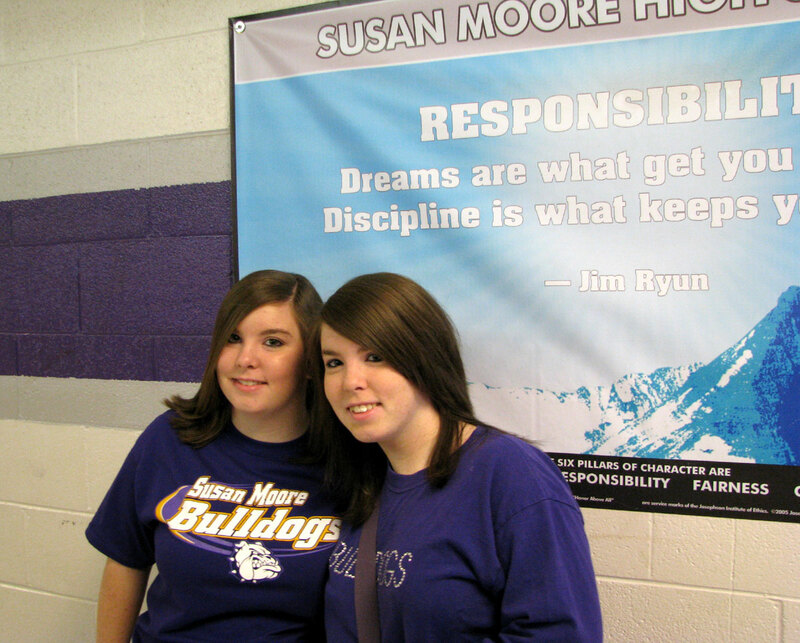 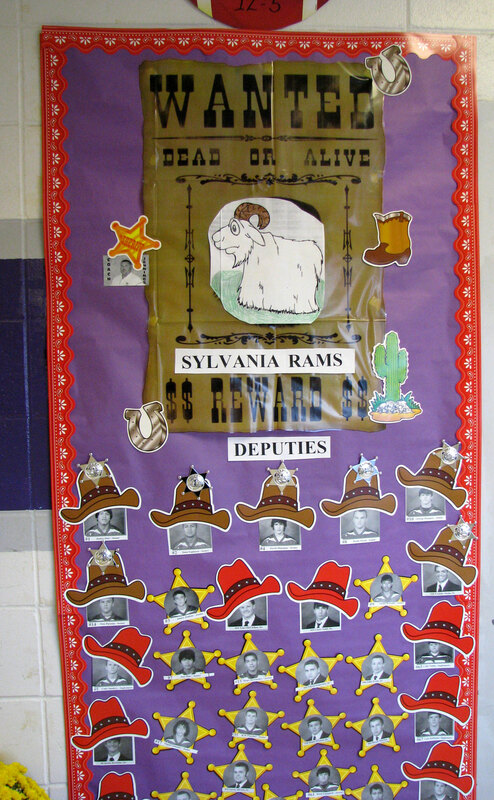 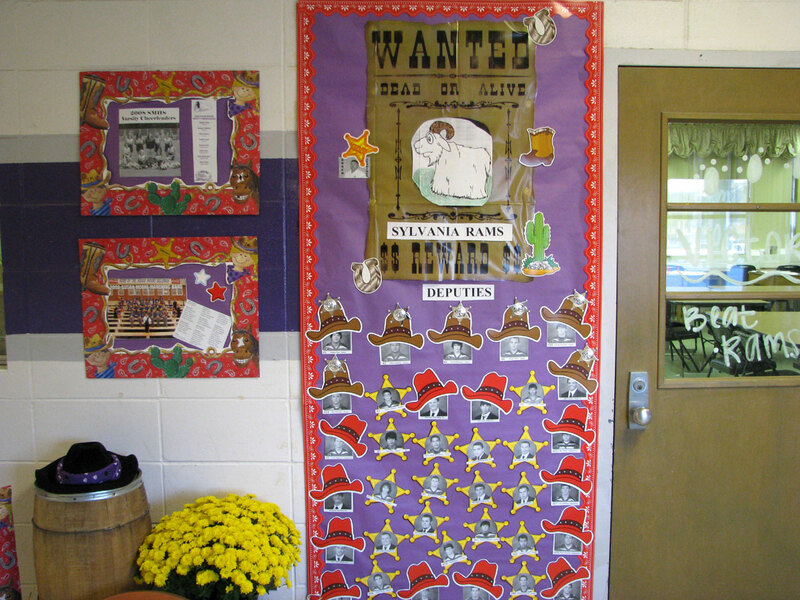 For Homecoming '08, the annual door decorating contest entries are pictured below. 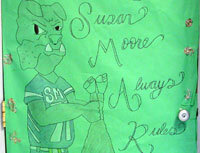 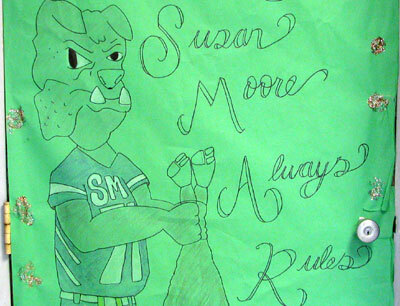 The Sylvania Rams were the homecoming opponent for the Susan Moore Bulldogs. 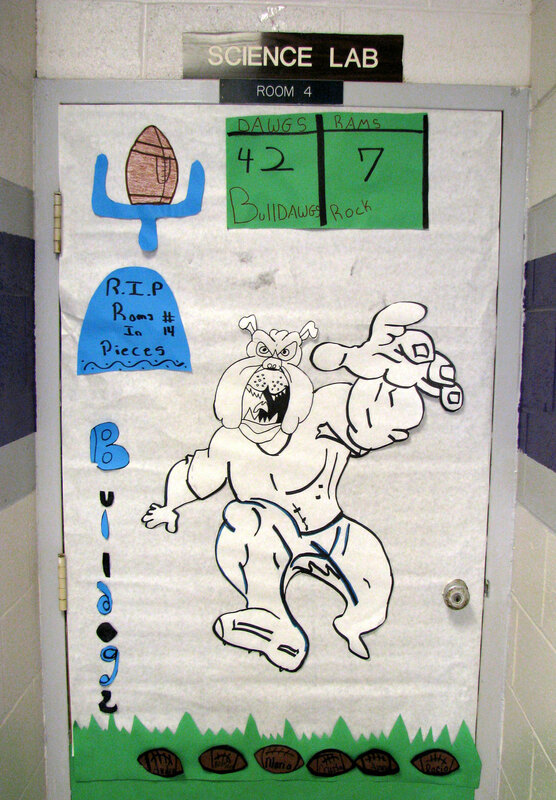 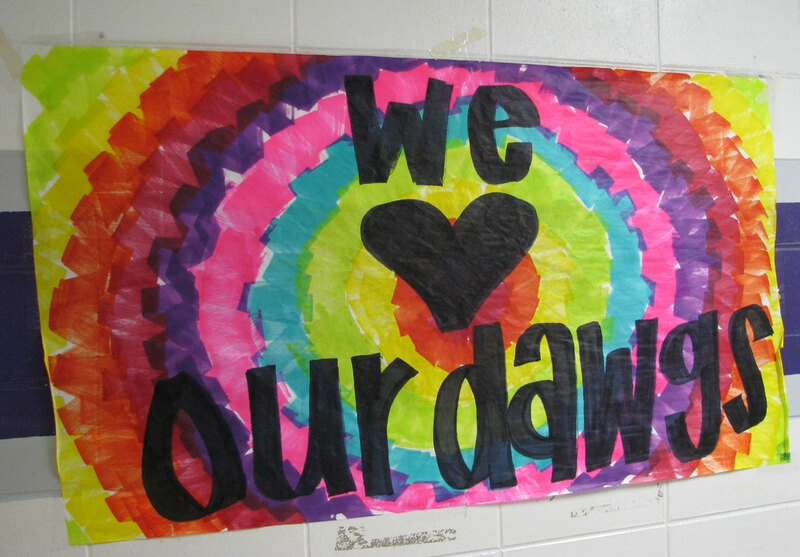 The following pictures of the doors, related decorations and the occasional wandering Bulldog were taken on the morning of the homecoming game. 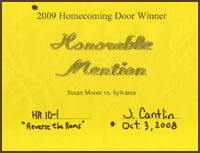 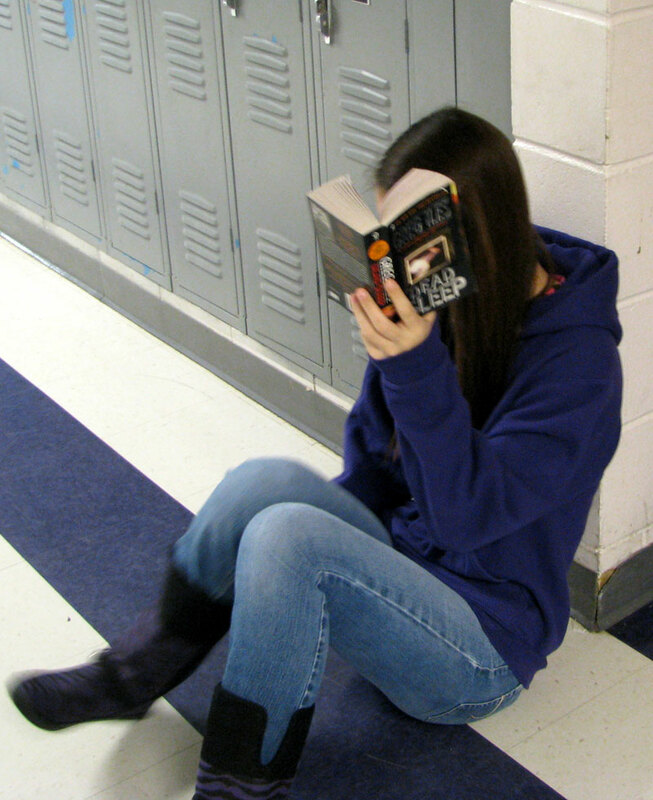 Mr. C's tenth grade homeroom was awarded "honorable mention". 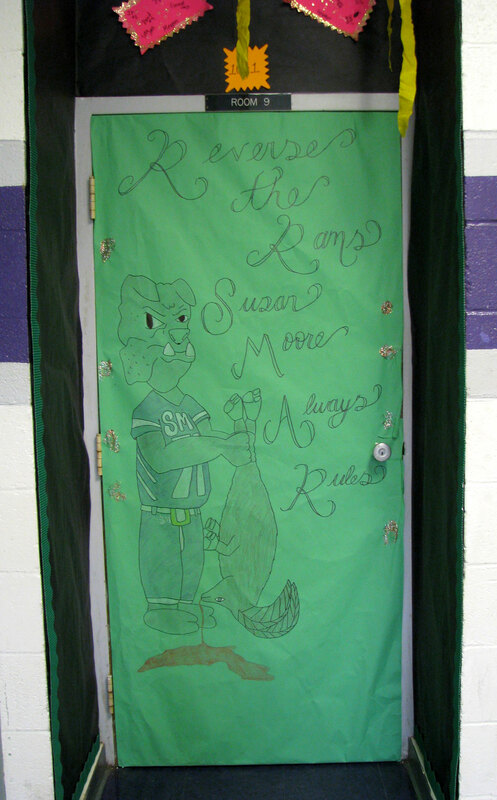 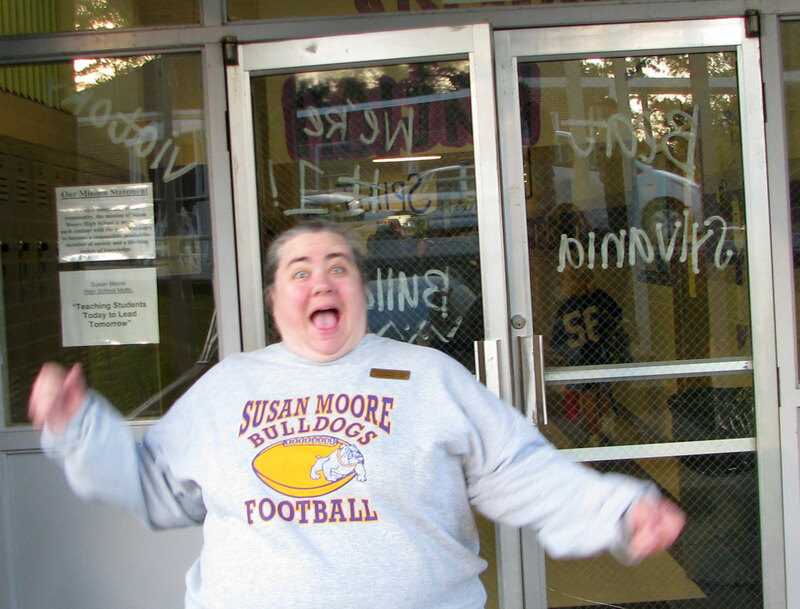 The theme was "Reverse The Rams - Susan Moore Always Rules."